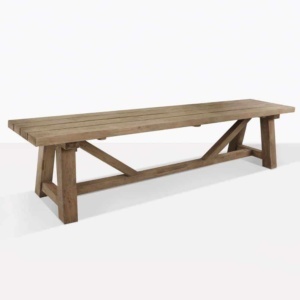 The Somerset Teak bench in a trestle style is a sight to behold and highlights the best qualities of the Somerset line. 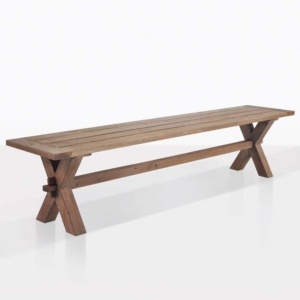 The entire Somerset teak line perhaps takes a design cue from the original french trestle table,this collection with it's massive surfaces reminds one of the heavy support beams engineered to hold up the roof. We'd call this style of table a trend, but we're the only company producing furniture which highlights teak in such a prodigious manner. 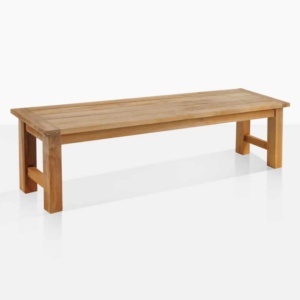 When you're taking in the view of the uncommonly sized planking of this table, you can truly appreciate the understated majesty of the A-Grade teak. Simply put, this line is unlike anything you've ever seen made of teak. 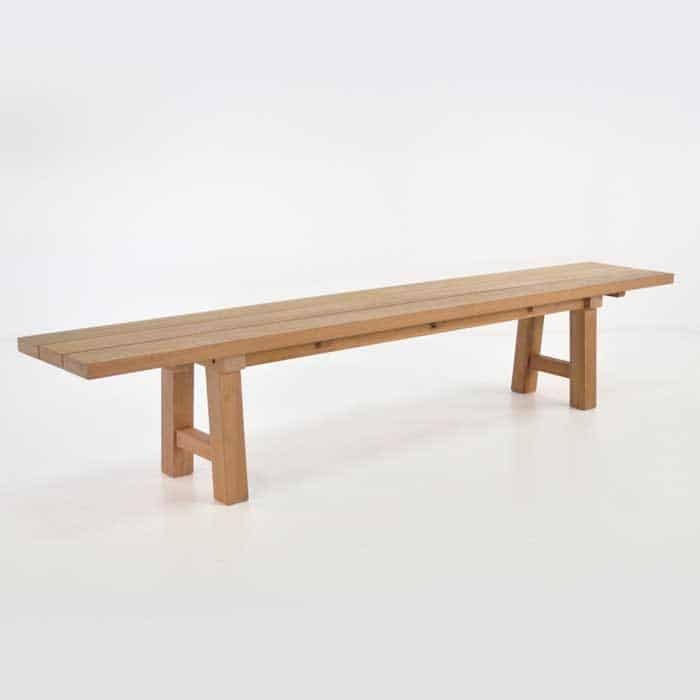 The sheer size and construction of the entire line underscores the legacy quality and longevity of Teak and forces anyone who sees it to leave with a sense of awe. 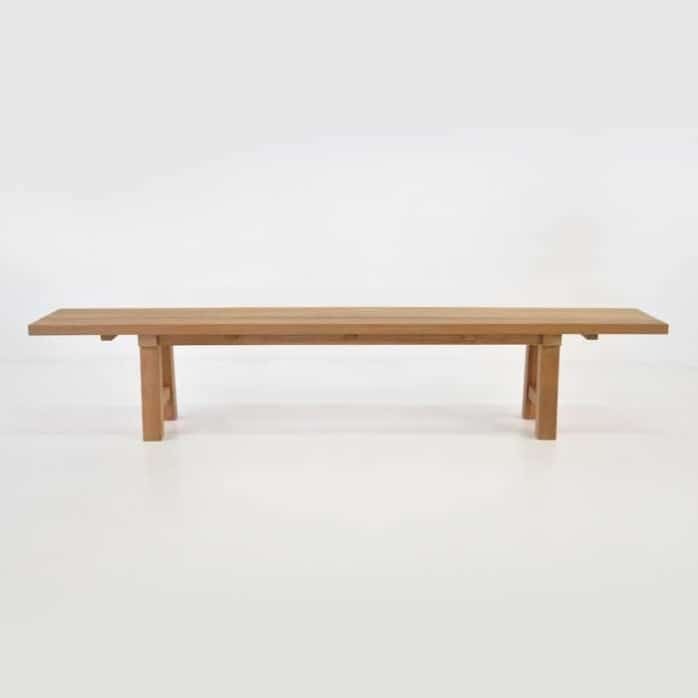 The bench compliments this line by carrying itself in a way that really pays homage to the wood and brings the user that much closer to the story of the tree.